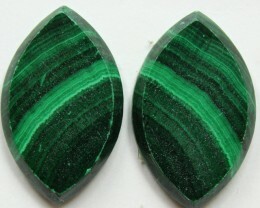 Malachite is a copper carbonate mineral with a chemical formula of Cu2[(OH)2 CO3]. 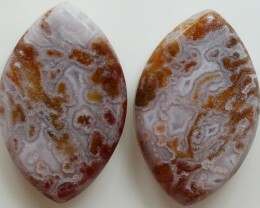 It can form acicular and prismatic crystals but is more commonly botryoidal, massive, or as stalactites. 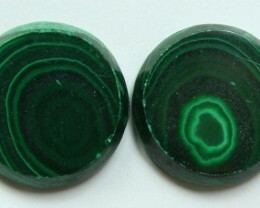 It is a vibrant green color often banded with light and dark greens and has a light green streak. 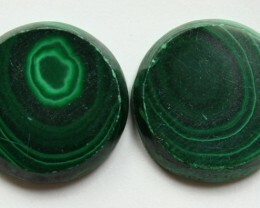 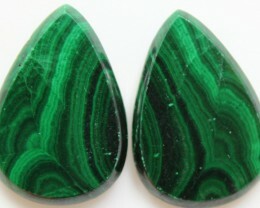 Malachite is the result of the oxydation of copper sulfide minerals. 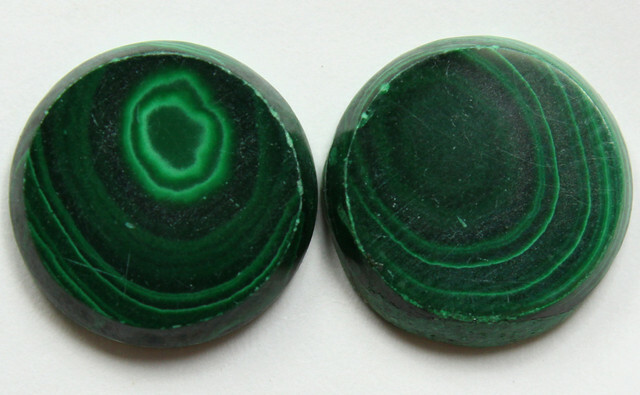 It is found associated with azurite, cuprite, and chalcopyrite. 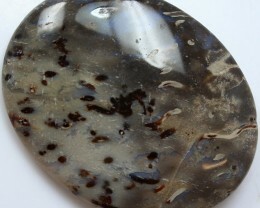 It has long been used as a source of copper, pigments, and decorative objects. 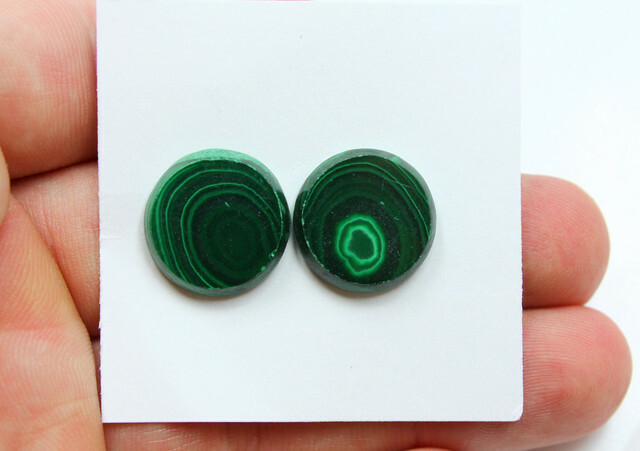 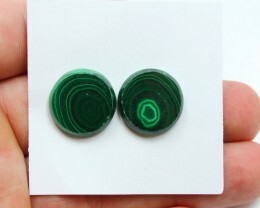 Because of its beautiful appearance and ability to be highly polished Malachite is valued in jewelry making as well as all sorts of decorative objects. 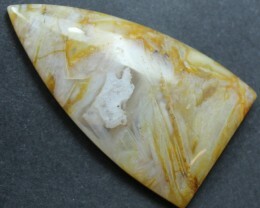 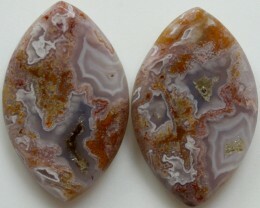 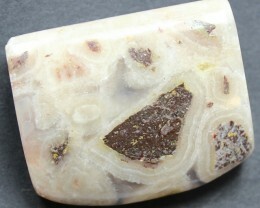 Huge quanities of this mineral, in blocks weighing tons, come from the Ural Mountains in Russia and from Shaba, Zaire. 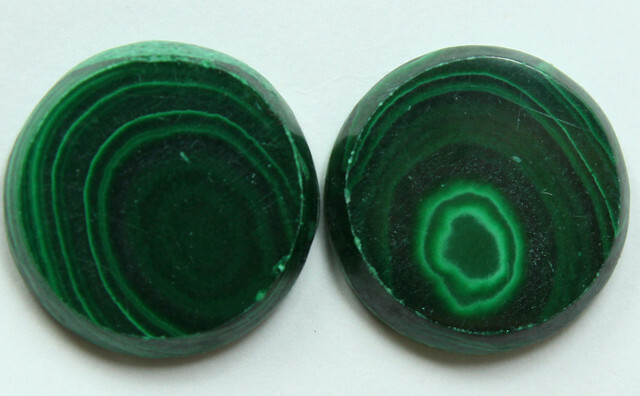 The famous King Solomon’s mines in Timna, Israel shows evidence of malachite mining operations dating back 3000 years. 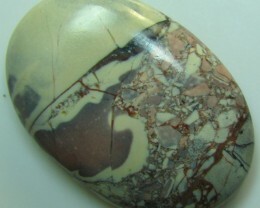 It is also found in many places in the southwest U.S. most noteably Bisbee, Arizona.